Marco’s HandRail Fiberglass Reinforced Plastic (FRP) Handrail Systems are safe, OSHA compliant, corrosion resistant, virtually maintenance free, and easy to install. Our standard industrial handrail is a 2-rail system with kickplate fabricated from its high strength pultruded structural shapes with UV inhibitors manufactured into the resin and synthetic surfacing veils that allow a resin rich surface. Standard systems are produced in safety yellow, with other colors available upon request. Handrails are available prefabricated and factory assembled or can be shipped in components for easy on site field fabrication. A factory applied UV coating is recommended when handrails will be utilized outdoors. Quality: We have tight control over the quality of our incoming materials and our resins. The result is a durable and consistent final product that meets all specifications and will give you years of reliable use. Choice: We offer a wide range of products based on our standard fiberglass systems. Our reinforced handrail components exist in many different versions to cover more of your industrial applications. Customization: We can also offer custom-adapted solutions if we don’t have exactly what you’re looking for. Our team can take your blueprints and designs and create custom FRP handrail components for you. It doesn’t matter if you’re replacing existing handrails and platforms in your facility that need upgrading or if you’re creating an entirely new system from scratch. We have the high-quality FRP handrail and platform products you need for a strong, safe and practical installation. 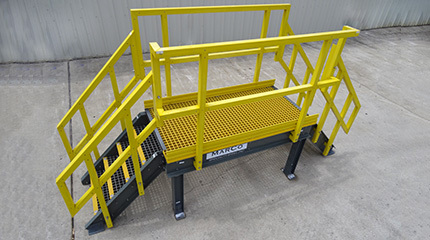 FRP handrail systems provide five key benefits in both standard and custom deployments. Your operations will run more smoothly and you’ll likely save money over time thanks to these characteristics. Multiple Resistances: Almost every major industrial hazard can be addressed with the right combination of coatings and composition. Significant Safety: Marco Fiberglass’ handrails reinforced with fiberglass are designed to provide your workers with a safe environment. They offer significant strength, low electrical conductivity and are within all OSHA standards. 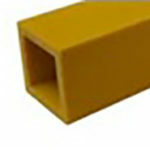 Everything comes in OSHA yellow and has the right post spacing, cages and more. Low Maintenance: FRP handrails don’t require consistent cleaning, sandblasting, painting or scraping to maintain their protections. You’ll all watch them consistently outlast any metal handrails on your site. Streamlined and Flush Design: No more snags or caught gloves. Every handrail element is designed to link up flush with other elements, such as ladders and ramps. Easy to Assemble: Fiberglass handrail systems are lightweight and created to meet standard sizes for posts and railings. We’ll build out custom units or large sections and you can quickly install each without the need for heavy lifting equipment. Marco’s OSHA compliant handrails are offered in four versions: light duty, standard, heavy duty, and an ergonomic oval system. Custom handrail systems for other applications including landscaping, architectural and ADA compliance are also available upon special order request. Light-Duty: Our light-duty railing is an affordable choice where a simple handrail will suit. We use a mix of square and round tubes for our light-duty handrail systems for the best value and ease of installation. 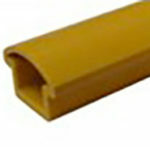 The top rail design includes a 1 5/8” x 3/16” square tube with square posts and round mid rail tubes. 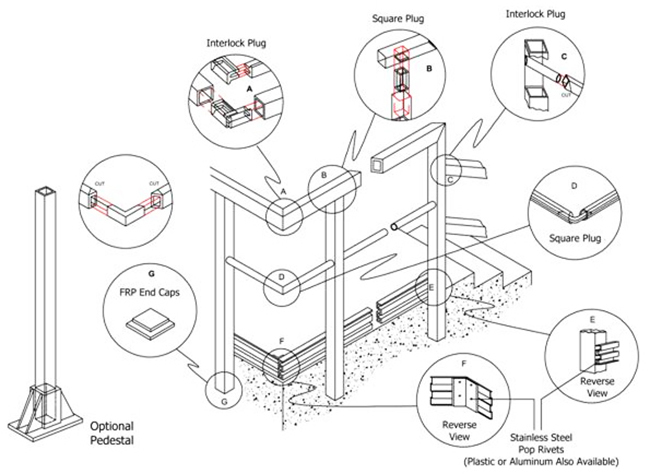 Standard-Duty: Our most common railing covers the bulk of needs for industrial settings. 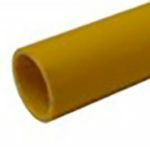 You get strong, sturdy 2” x 1/4” posts that resist bending, topped with the same size top rail for a comfortable grip. Our flexible standard-duty FRP components are resistant to wear, temperature extremes and chemicals. Heavy-Duty: For more extreme applications, choose our heavy-duty FRP handrail systems. The posts, top rail and mid rail are all made from the same strong 2” x ¼” fiberglass material for increased resistance to flexing and bending. 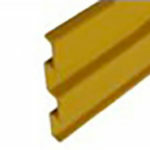 Our heavy duty FRP handrail components also allow for fast and easy installation. Ergonomic Oval: Our ergonomic series of fiberglass reinforced plastic handrails are best suited to those locations where there’s a lot of pedestrian passage. The comfortable and ergonomic oval tube encourages pedestrians to hold onto the railing for safer walking along walkways and climbing up and down stairs. There are two easy ways to get a quotation for your FRP railing system. You can give us a call and speak to one of our helpful team members or upload your drawings and blueprint files right to our site. We’ll get back to you quickly and propose the perfect versions of our popular fiberglass handrail and guardrail systems for your application.